NEW! Mac Compatible 150Mbps 802.11n Wireless Mini LAN USB 2.0 Adapter 10.4-10.13 compatible! New Mini Size! 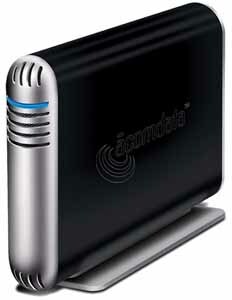 Plug into your USB Port and have Wireless N super high speed access! 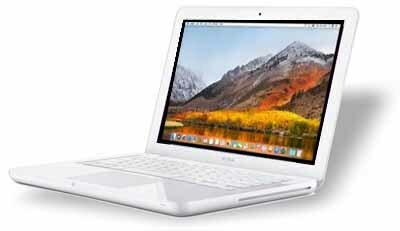 Mac OSX 10.4 up to 10.13 compatible! Extend your wireless coverage and experience greater speed with this Wireless N USB 2.0 Adapter! Based on the 802.11n 2.0 standard, this Wireless N USB Adapter delivers the highest wireless data rate so you can enjoy uninterrupted data streaming. This Wireless N USB Adapter features integrated antenna and is backwards compatible with 802.11b/g networks! With WPA2, WPA, 802.1x and WEP security encryption, the Wireless N USB Adapter helps keep your wireless connection secure from intruders. Transmit: Up to 150 Mbps, Receive: Up to 300 Mbps. Frequency Band: 2.4 - 2.5 GHz. REQUIRES: USB2 Port, OSX10.4 thru 10.8. 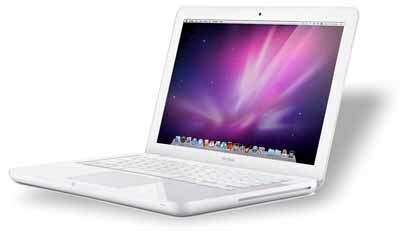 Includes our OSX Super Sink DVD ($14.77 value) with drivers, compatible wireless network. DOES NOT WORK WITH OS VERSIONS EARLIER THAN 10.4. These USB Adapters work perfectly with our USB2 PCI cards. 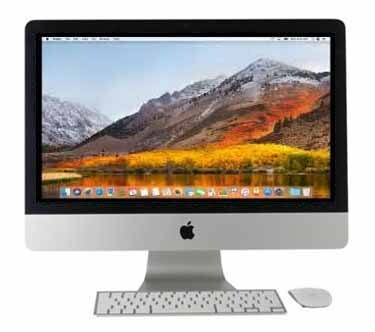 These work with older iMacs with only 1.1 USB built in and are faster and less expensive than the old airport cards and support later network protocols. THIS CARD REQUIRES YOU KNOW OR CAN FIND OUT YOUR ROUTERS PASSWORD. Don't order this if you don't. Our $34.77 price includes domestic shipping. 85W MagSafe Power Adapter Type 1 for MacBook & MacBook Pro - faster charging! SALE PRICED! MORE POWER MEANS FASTER CHARGING. 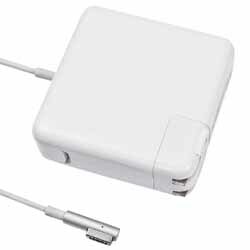 The 85-Watt Type 1 MagSafe Power Adapter for Apple MacBook, MacBook Pro features a magnetic DC connector that ensures your power cable will disconnect if it experiences undue strain and helps prevent fraying or weakening of the cables over time. In addition, the magnetic DC helps guide the plug into the system for a quick and secure connection. When the connection is secure, an LED located at the Head of the DC connector will light; an amber light lets you know that your portable is charging, while a green light tells you that you have a full charge. May have the old T-Style tip or the newer inline L-Style tip. The AC wall adapter (built-in) gives users an even easier and more compact way to travel. This power adapter recharges the lithium polymer Battery while the system is off, on, or in sleep mode. It also powers the system if you choose to operate without a battery. $69.77 OUR LOWER SALE $49.77 price includes domestic shipping. Mac Compatible supports 3.5" High Density 1.44MB diskettes (will not read the older 800k floppies, no usb floppy will). Brand new units are hot plug capable. System Requirements: MacOS 8.6 or later. 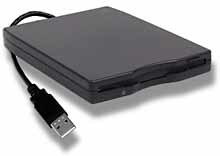 Any desktop or notebook computer with an available USB port. These units are Mac compatible and work fine in OSX. If you ever have trouble unplugging and plugging resets the drive connection. Just plug it in and insert the disk, when finished pull the disk to the trash and use the manual eject button. Was $59.77 Our Price $39.77 includes domestic shipping. 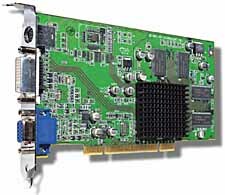 Firewire 800 1394B 3 Port Firewire PCI Card - New $69.77 shipped! 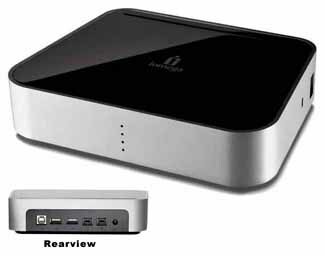 Add Firewire 800 to your PCI capable Mac. Up to 800Mbps! Plug & Play Installation! - The FireWire 800 3 Port PCI Adapter Card is simple to install. With a minimum of hassle you can install this card into your system, no drivers necessary to install! Backwards Compatibility! - FireWire 800 3 Port PCI Adapter Card is fully compatible with FireWire 400 (1394A) devices when used with a 9 Pin to 6 or 4 pin cable. Cable Length! - FireWire 800 can have cables up to 100 meters long (330'). REQUIRES: the ability to remove a phillips screw and insert a card in an open PCI slot and replace the screw. Compatible with the PowerMac Blue & White, G4 Yikes, G4 AGP, Power Macintosh G5 (all PCI and PCI-X versions). 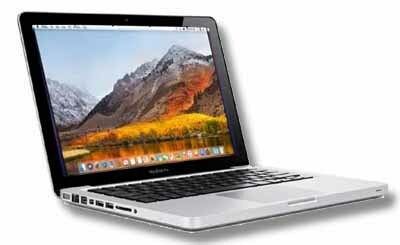 Requires OSX10.4 or later and may not be bootable. Our $69.77 price includes domestic shipping. SUPER SPECIAL! Limited time! Top quality new 512MB PC133 168 Pin SDRAM for all models, PowerMac G4 Tower AGP/Sawtooth/Gigabit/DA/QuickSilver Models, G4 Cube, iMac G3/350-700MHz. iMac G4-700/800 bottom slot, eMac 700MHz, G4 Cube - Was $69.77 SALE! $39.77 domestic shipping included. Free installation with your system purchase. 5-Port USB Upgrade Card 2.0 High-Speed Card - NEW! Leopard & iPod tested! Super Price $29.88 includes shipping! Works with iPods, Leopard Tested. Finally got the good USB 2.0 5 Port Cards back in stock. These feature the superior FULL SIZE NEC chipset. Why buy a hub? Add 4 External USB 2.0 compatible ports (1 internal) to your PCI based Power Mac! USB 2.0 standards are only supported in OSX, but these cards work fine in OS8.6-9.2 in USB1.1 mode. These work with your existing USB items plus they support the NEW US 2.0 high speed devices (assuming they are mac compatible)! Features the most desirable NEC chipset. 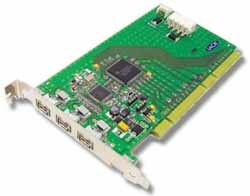 This card features: USB (Universal Serial Bus) 2.0 specification compatibility, Compatible with OHCI (Open Host Controller Interface), Compatible with EHCI (Enhanced Host Controller Interface). Ports are hot-swappable and real plug-and-play capabilities. Provides four USB root ports, each port supports with 1.5Mbps, 12Mbps full speed and 480Mbps high-speed function. 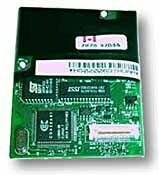 OSX compatible, this card works as a USB1.1 device with OS9 using stock Apple USB card support. Supports overcurrent and high inrush current protections. Provides bus-fault detection and reconfiguration. PCI interface specification V.2.2 compliant. Downstream port: 5 USB series-A receptacles (4 external, 1 internal). Data transfer rate: high speed 480Mbps, full speed 12Mbps, low speed 1.5Mbps by each port. Output voltage per port: 5VDC. Output current per port: 500mA. 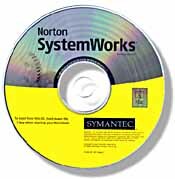 Comes with Free Kitchen Sink CD for OS8.6 - 9 driver updates, X works straight up. As with all USB2 cards sleep mode in 9 keeps machine from going to sleep, but works in most X installations (some hardware attached may not, if not simply disable sleep mode). REQUIRES: the ability to remove a phillips screw and insert a card in an open PCI slot and replace the screw. Our price Our $29.88 includes shipping. Works in Beige G3 with the later $77D.45F1 ROMS or better systems. Terrific upgrade for your BWG3, & G4 systems. These do not work in the older PowerMac 7200-9600 units, use the USB 1.1 cards. Add a second Monitor to your PCI capable G3, G4 or G5 Mac. 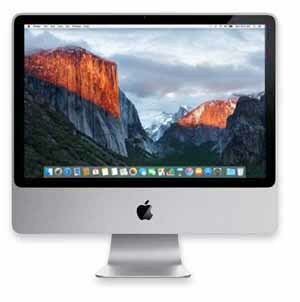 Great Mac Video UPGRADE for any Beige, Blue & White or Yikes G4 PCI Mac! Allows DVD Playback with the appropriate player. These used tested RADEON 7000 MAC EDITION 32 Megabyte Video Cards! They deliver enhanced 3D/2D graphics performance for today's demanding applications and is powered by the RADEON 7000 graphics processor and 32MB DDR memory. Enjoy the flexible dual-display support for multiple combinations of CRT monitors, TV's and video devices. Plus RADEON 7000 MAC EDITION supports OpenGL® for superior graphics and 3D textures in gaming and workstation environments. FEATURES: RADEON 7000, with powerful double data rate memory, delivers enhanced 3D/2D performance. HYPER Z technology increase effective memory bandwidth resulting in improved performance. RADEON 7000 MAC EDITION supports OpenGL®,QuickDraw® and RAVE® applications. Dual monitor support and TV output. 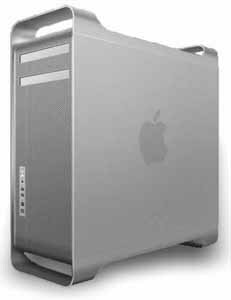 REQUIREMENTS: PCI (66MHz or 33MHz) - capable Macintosh, QuickTime 5.0, OpenGL® 1.2.2 (required for 3D graphics), Apple OpenGL® 1.2.2 (part of OS 9.2.1) is required for 3D graphics, Mac® OS 9.0* or later. Fully OSX compatible. CRT monitor, Digital flat panel monitor, TV, CRT monitor and CRT monitor, CRT monitor and TV, Digital flat panel and TV, CRT monitor and digital flat panel monitor. Maximum resolution and refresh rate 1600 x 1200 @ 60(Hz). Available display modes are dependent upon monitor selection. DVI, VGA and S-Video out. I have notes on enabling Quartz Extreme within OSX with this card! Drivers on our Kitchen Sink CD (included $9.99 value). Was $99.77 LOWEST EVER $59.77 includes domestic shipping. UPGRADE YOUR G4's MODEM! While this V.92 modem originally was designed for Mirror Drive Doors it works perfectly in place of the V.90 modems used in ALL G4 Sawtooth and above Towers including Digital Audio and QuickSilvers. Works in V.90 Mode in OS9 it used the V.92 settings in all versions of OSX from 10.2.8 and up. Surf the Web and download files faster! V.92 modems include V44 compression, to speed up data transfer when you are surfing the Web or downloading compressible data like emails, Graphic files, Message Boards, and HTML files including Web pages. The improvement you get from V.44 depends on the type of data you are downloading. Check with your ISP for V.92 support if you are not sure, but modem defaults to V.90 automatically. Tested Used Pull. 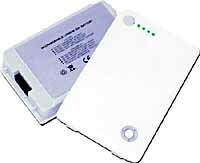 Direct Replacement for all Powermac G4 Mirror Door (867 DP/1 GHZ/1.2 Ghz/1.4 Ghz), iMac (17-inch Flat Panel), iMac (17-inch Flat Panel, 1GHz), iMac (Flat Panel), iMac (USB 2.0), Power Mac G4 (FW 800), Power Mac G4 (Mirrored Drive Door 2003), Power Mac G4 (Mirrored Drive Doors), iMac (17-inch Flat Panel), iMac (17-inch Flat Panel, 1GHz), iMac (Flat Panel), iMac (USB 2.0). Was $39.77 LOWER $19.77 price includes domestic shipping. IN STOCK NOW! Full 7200 Speed Version. Don't be fooled by the low cost 5900 rpm drives that slow down your system. Seagate Barracuda 7200 RPM, Large 64MB Cache for top performance. This product is configurable from SATA 1.5Gb/s to SATA 3Gb/s for easy interoperability. S.M.A.R.T. capable. Factory warranty beginning from the mfg. date. REQUIRES A SATA connection. Was $119.77 Our $99.77 price includes domestic shipping. USB 2.0 (& 1.1) A to B Cable - 9-1/2 Feet Long - SALE $4.99 New! If you buy a usb printer from anyone but us you will need one of these. Super Value! 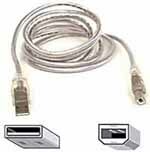 Standard USB Cable, 9-1/2' Length A to B type - Male to Male connector. Perfect for adding a USB printer (since they never include one) or other peripherals. These are USB2.0 qualified but work equally well with the older 1.1 standards. Color may vary. Compare at $12.99 or more. Special Purchase $4.99 with any order. 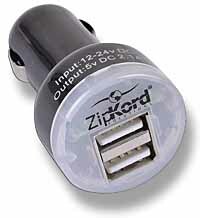 ZipKord 2-Port DC In-Car Power Adapter for Charging Your iPod, iPhone, iPad, Cell Phones, MP3 & More USB Devices! 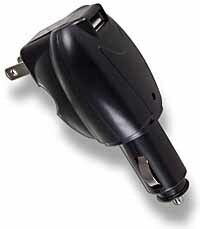 Power and charge devices with a USB connection in your vehicle with this ZipKord POWERDC2A2 2-Amp Dual USB Car Charger! It features two USB ports, so if you already have the appropriate cable, you can connect and charge other portable USB devices such as a BlackBerry phone, Android, iPhone, iPad, MP3 player, Bluetooth devices or GPS systems! Small and lightweight, this POWERDC2A2 is perfect for traveling! Product Requirements: Available DC car power outlet USB cable with dock connector for iPod, iPad and iPhone. Our $14.77 price includes domestic shipping. ZipKord USB AC/DC Power Adapter for Charging Your iPod, iPhone, iPad, Cell Phones & More USB Devices! This thing works AC/DC. Plug in the wall or in the car! Power and charge devices with a USB connection from any AC wall or DC vehicle power outlet with this ZipKord 3-in-1 Combo Charger! It features one USB port, so if you already have the appropriate cable, you can connect and charge other portable USB devices such as iPads, iPods, iPhone, MP3s, GPS and mobile phones! Plus, the wall plug folds for easy storage! Whether you're at home, office, hotel or on the road, this ZipKord 3-in-1 Combo Charger will keep your mobile devices powered up and ready to go. Our $10.77 price includes domestic shipping. When I needed a couple of HDMI cables to connect up our new HDTV and DVD Player I visited our local discounter who wanted $30 per cable. We now sell the same high quality heavy duty cables for $14.99 including shipping. I use these same cables to connect high definition components with this 6-foot HDMI (M) to HDMI (M) Video/Audio Cable! This male to male cable is designed for use with high-def devices with HDMI connectors including HDTVs, Blu-ray DVD players, cable or satellite boxes, A/V receivers, game consoles, even some of the new LCD monitors, and more. Plus, it features gold-plated connectors for maximum signal transfer! Our $14.99 price includes domestic shipping.